Yard Sale for the Animals!! If you have any items you would like to donate to help the animals in Calaveras County, FOCAS (Friends of Calaveras Animal Services) is holding a big Yard Sale October 8-10, 2016. Call Peggy at 768-7037 for pickup of your donations. 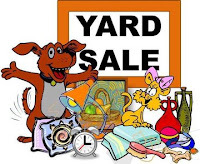 The Yard Sale will be held at Wendells Restaurant parking lot in Mokelumne Hill from 9 - 4 PM. Are you a Wells Fargo customer??? Everyone who is in any way related to Wells Fargo Bank needs to take a step back and do a double take, in our opinion. We just learned that Theresa McClung is running as fast as she can, away from the Calaveras Ranger Station, where she was District Ranger. Calaveras County favors Calaveras Enterprise...corruption!!! When the contract for the legal notices in Calaveras County came up this summer, the Valley Springs News was the only newspaper who bid on the RFP. The Marshes Fire, burning near Don Pedro, has destroyed over 1000 acres in Tuolumne County so far. The fire was caused, per CalFire, by a vehicle pulling into the dry grass. As CalFire states, 95% of all fires are caused by humans. Fire season is not over yet! EDSON LIES!! Cannabis cultivation allowed in Calaveras for decades!! On September 27, 2016 Calaveras Sheriff's deputies arrested David Craig Althouse (52) of Copperopolis at his residence on Ricky Road. Althouse was booked into the Calaveras County Jail for alleged Assault with a Deadly Weapon not a Firearm, a felony and was released on bond. Edson against First Amendment rights?? 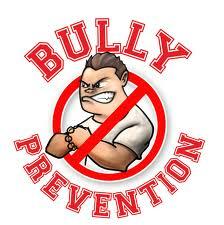 Or BULLY Calaveras Supervisor?? County Counsel says "not offended'! The Marshes Fire off Hwy 49 near Don Pedro in Tuolumne County is now 1000 acres and is 25% contained. The Mocassin Estates subdivision has been evacuated.